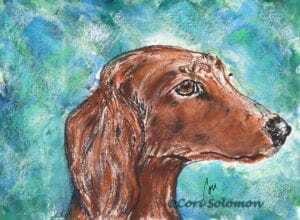 Mixed media art showing a very regal Dachshund in profile. The media combines a Monotype with pastels. This artwork comes matted. Size: 14 x 11 with mat.